Darkness: the 9th plague on Egypt and the final plague I'll do here. Darkness is the most intriguing plague to me. While the others are visible and tangible, running from irritating to fatal, darkness is abstract. However, Exodus describes it as a "darkness that can be felt." After logging so many hours in the pitch-black closet of the color darkroom, "feeling" darkness makes perfect sense to me. While I've grown fond of spending entire days swathed in darkness and the way it quiets my mind while I fall into the rhythm of making a photograph, I completely understand the terror it can provoke. Your brain starts to do funny things: you lose perception of time and space, you can't tell if your eyes are open, you see what isn't there. In fact your senses get switched up, your ears become fierce and your fingers grow eyeballs. It hugs you, it crushes you. Sometimes it feels like you're being watched, sometimes panic arises suddenly. I've seen this watching some of my students go from the already disorienting B&W darkroom, protected by a dim red light, into the completely dark film loading rooms for the first time. All of the sudden you cannot control your fingers, simple tasks become impossible (The trick is to take deep breaths). Occasionally, I'd have to go in to rescue someone and I would take the developing reel from trembling hands. Sometimes just having someone standing nearby is enough to ease the pressure of the dark. The darkroom is comforting to me now, but I've had my share of cold-sweat moments. Besides being black and blue from misjudging distance, I've accidentally discovered that I'd flooded the floor or cut myself and then turned the light on to find more blood splattered than expected. The thing with the darkroom is that if the dread becomes unbearable, you can shove your work into the safe-box and hit the light switch. Not the case with alleys and empty parking lots, power outages and spaces filled with coyote howls . I could have done a flourless mocha cake, chocolate fudge, or pudding for this plague, but to me darkness is not so much dense and rich as it is layered and smothering. Chocolate seemed an obvious choice for darkness, as did something with a dark name. So I riffed off of the flavors of Black Forest Cake (like my favorite Cherry Garcia! ): dark chocolate(dark) and cherries (also dark) and Kirsch (clear, but powerful). To circumvent using flour, I made a dacquoise , which is a layered meringue, usually with nuts, filled with whipped cream or buttercream and fruit. I went to the Black Forest 26 years ago (I hear I was much cuter back then) and remember nothing other than thinking that the name sounded like the setting of the shadowy part of a fairy tale. Actually that memory itself is pretty murky. 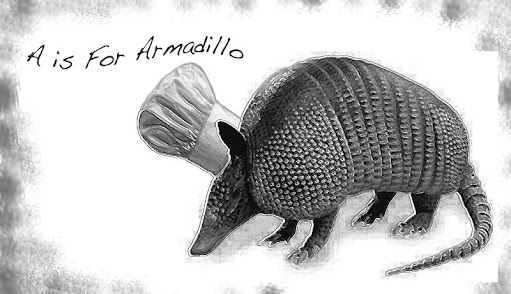 Position racks in the upper and lower third of the oven and preheat to 300°F. On 2 pieces of parchment paper, draw three (two on one piece of parchment and one on the other) rectangles (6x8"), squares (7x7") or circles (8"). Flip the papers over so you can see the markings through them. Place them onto two cookie sheets. Sift the powdered sugar, 3 T granulated sugar, and cocoa powder into a small bowl. In a large, clean, metal bowl, beat egg whites and salt until foamy. Add the remaining 6 1/2 T sugar, one T at a time until the whites are glossy and hold stiff peaks. Gently fold in the cocoa mixture. Spread the meringue evenly into your 3 shapes. 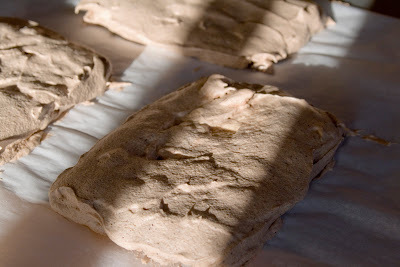 Bake about 1-2 hours or until dry. I'd let 'em cool in the turned-off oven for awhile. 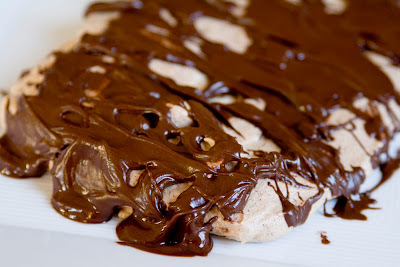 Melt the chocolate and drizzle/spread over the cooled meringues. Let harden. Combine 1/2 C reserved juice, lemon juice, sugar and corn/potato starch in a saucepan over moderately low heat. Stir until thickened. 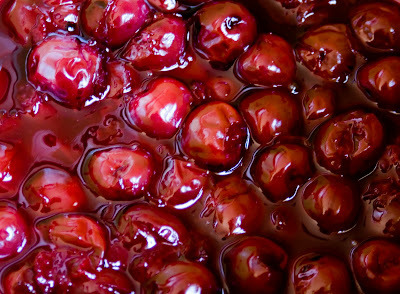 Remove from heat and stir in the cherries and Kirsch. Chill in the fridge. Can be made a day before and kept in the fridge. When ready to assemble, beat the cold cream until a little foamy, add in the sugar to taste, vanilla and Kirsch. Whip till stiff. Place one meringue layer on a serving plate, gently top with 1/3 of the whipped cream, then with 1/2 the cherry filling. Repeat with the next layer. 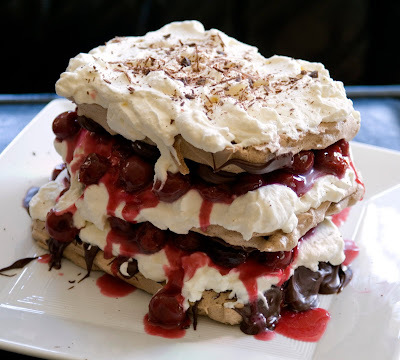 Top with the third layer and whipped cream. 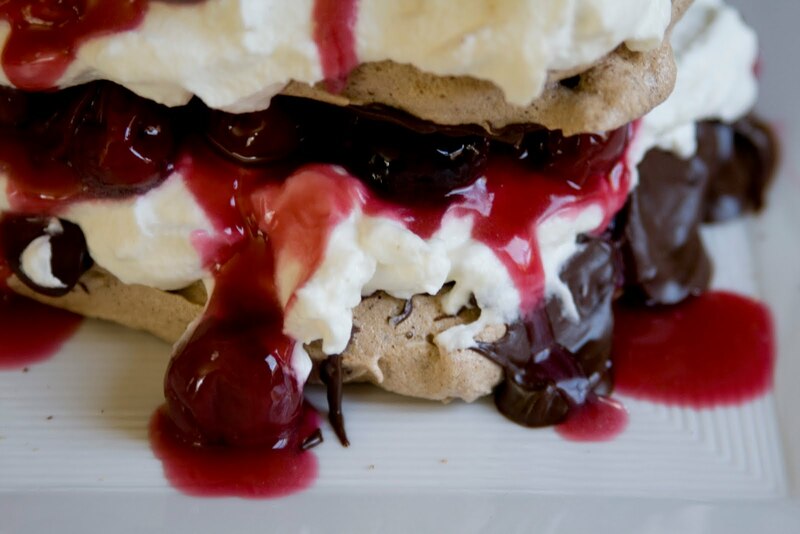 You can shave some chocolate or drizzle a few cherries on top for looks, too. Don't steal my pictures! If you like them and want to use one, please ask permission!